Royal Air Maroc has taken delivery of its first Boeing 737 MAX 8 aircraft, registered as CN-MAX. Just ten days ago, the flag-carrier of Morocco also received its first Boeing 787-9 Dreamliner. 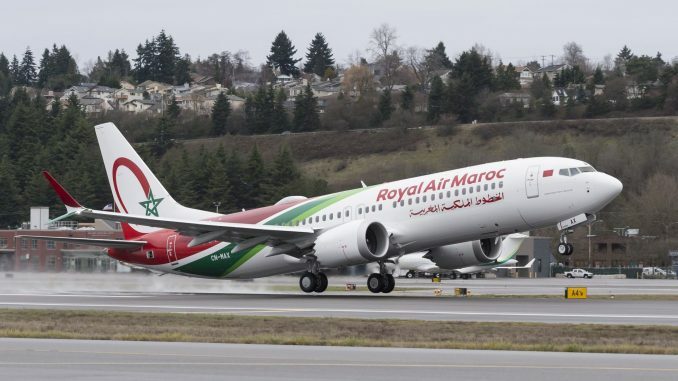 Royal Air Maroc plans to deploy its brand new Boeing 737 MAX on routes from its hub in Casablanca to Accra, Lagos, London, Bologna and Paris. The airline expects to take delivery of three more Boeing 737 MAX 8 and three 787-9 aircraft over the next few months as part of its fleet modernization and expansion programme. Royal Air Maroc currently operates a mixed fleet of Boeing 737, 767 and 787 Dreamliner (both 787-8 and 787-9) aircraft. ATR 72-600 turboprops and Embraer E190 jets are also part of the airline’s fleet. The ATRs are operated on regional routes by Royal Air Maroc Express. Furthermore, the carrier has recently announced that it will join the Oneworld airline alliance in 2020. Royal Air Maroc will become the first African airline in the alliance and the 14th Oneworld member. In 2019, the airline will start its new service between Casablanca and Athens, as well as its new long-haul connection to Miami, Florida. 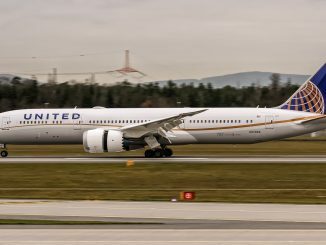 The latter route will be operated by the carrier’s Boeing 787 Dreamliner aircraft.